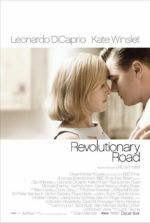 Films about a great novelist who achieves renown seldom realize the same literary heights implied by their subject matter. The Wife tells the story of a formative twentieth-century author whose books (the words of which we never see nor hear) are said to cause readers to swoon at the beauty of their prose, while intellectuals proclaim that the author has wholly refigured narrative forms. By contrast, the film does none of these things and, alternatively, proves rather conventional. Its characters rarely impress with their scholarly wisdom or coherent emotional states, and their dialogue, adapted by screenwriter Jane Anderson from Meg Wolitzer’s 2003 book, resorts to endless clichés. That aside, The Wife is a compelling character study, worthy of visiting for a trio of excellent performances at the center. Beyond the power of the acting and relevance of the story, however, the drama’s construction, which will be discussed in full detail in this review, proves overly dependent on revealing secrets, as opposed to exploring how the characters live with those secrets. “I don’t want to be thought of as the long-suffering wife,” says Joan (Glenn Close), spouse to Joe Castleman (Jonathan Pryce), a Jewish author from Brooklyn who’s just been informed that he won the Nobel Prize for Literature. He wants to thank his wife, with whom he celebrates his honor by jumping up and down on their bed like schoolchildren. All that morning, she coddled her husband, settling his anxiety over the potential win. And now that he’s won what will be the final validation of his career, she insists on not being thanked in his speech. Joan has lived in the shadow of her husband since they first met when she was his literature student at an Ivy League school (Harry Lloyd and Annie Starke play the younger versions of Joe and Joan in flashbacks). Now she tends to his needs, organizes his pills, arranges his schedule, and remains in the shadow of her husband’s celebrity. She’s an overlooked woman tending to a man in a creative profession dominated by men. Meanwhile, Joe’s unchecked ego as a literary authority, one in constant need of his wife’s support, has resulted in countless infidelities that have bruised but not demolished their curious marriage. As The Wife proceeds, Swedish director Björn Runge examines Joan and Joe’s relationship as they head to Stockholm, where Joe will humbly receive his award. 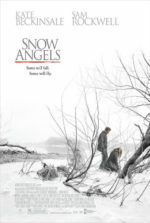 Their son, David (Max Irons), an aspiring writer, joins them, projecting feelings of inadequacy about his work because his father refuses to support him, whereas David could care less about his mother’s approval. She is, after all, not the famous writer in the family. Except, as additional flashbacks reveal—along with the digging of Joe’s would-be biographer (Christian Slater)—Joan was once a talented writer. In fact, she has been complicit in a scandal and fraud for decades. In her youth, she was convinced that there was no point in combating the patriarchal literary world that disregards female authors. And so, as Joe began to realize that his own first novel was hardly going to be a masterpiece, Joan stepped in to rewrite the novel for him. Ever since, Joan has authored every book to Joe’s name. He comes up with the skeleton, but she writes the fleshy prose and creates emotional characters that connect with readers. He greedily welcomes the credit, while her influence remains concealed. This, of course, makes the occasion of Joe’s Nobel Prize a wounding experience for Joan, bringing her long-endured suffering to an explosive head. Unfortunately, what lies at the center of their marriage stands in question for most of the film, and the drama is propelled by the viewer trying to understand their relationship. But the story’s structure makes the mistake of not unveiling their secret until the third act, a revelation that complicates the relationship in ways that the first two-thirds cannot live up to. Consider how the early scenes between Joan and her husband are played as though he’s the writer and she’s the helper, not as though there’s something furtive between them. Their scenes early on aren’t loaded in such a way that they’re recontextualized when the audience learns the truth. For instance, the moment when Joan and Joe jump on their bed, Joe shouting “I won a Nobel Prize!” with delight, and Joan looking at him with pride, seems odd later on, after we learn that it was Joan who won Joe the award. 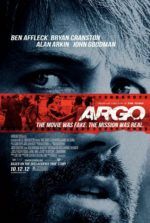 Neither Anderson’s screenplay nor Runge’s direction adequately investigates how the ongoing conspiracy of collaboration somehow remained undiscussed for decades in their marriage. In that sense, the revelation aspect of the film, and their relationship, feels unrealistic, as though the characters were bending to the will of the story structure. 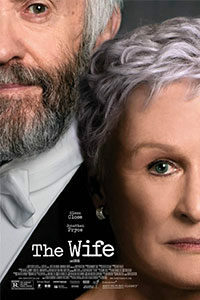 An impressive production with elegant costumes and clean, unassuming cinematography by Ulf Brantås, The Wife contains performances that make the viewer ache over what it might have been—had the story structure not shown too much concern with a mystery, and not enough concern for the intimate details of the relationship. Close delivers a thoughtful and understated embodiment that smolders with Joan’s years of being disregarded, leading to a final scene that suggests her eventual emergence and self-fulfillment. Her performance, and the significance behind it, are essential in the Me Too movement in how they capture a woman whose quiet acceptance of her unfair lot has gone on too long. Pryce occupies Joe’s consistent, big personality through grand gestures and two-dimensionality, and Slater likewise fits in his role. By contrast, Irons, and Elizabeth McGovern in a one-scene cameo, occupy thankless roles, representative of the on-the-nose writing that sometimes emerges in the film’s stagey arguments. For all the talk of Joan’s writing and its refiguring of narrative conventions, The Wife spends too much time investigating a relationship from the outside, and not enough time exploring it from the inside.